Wine & Country Living, Book 7. Farm Bell Kitchen is proud to be featured in the Local Travel Section of this beautiful publication. Read all about the farm-to-fork philosophy of our restaurant, the culinary talents of our executive Chef Jabari Wadlington, and view our cozy dining areas for yourself. 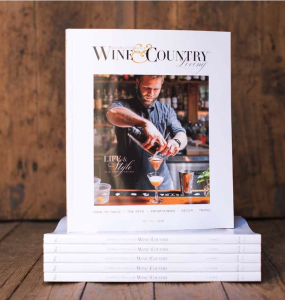 Grab a copy at your local book store or read the article here – Wine & Country Living Article.